Love. Violence. Destiny. These powerful themes ricochet through Lorenzo Carcaterra’s new novel like bullets from a machine gun. In Gangster, he surpasses even his bestselling Sleepers to create a brutal and brilliant American saga of murder, forgiveness, and redemption. Born in the midst of tragedy and violence and raised in the shadow of a shocking secret, young Angelo Vestieri chooses to flee both his past and his father to seek a second family—the criminals who preside over early 20th century New York. In his bloody rise from soldier to mob boss, he encounters ever more barbaric betrayals—in friendship, in his brutal business, in love—yet simultaneously comes to understand the meaning of loyalty, the virtue of relationships, and gains a perspective on the lonely, if powerful, life he has chosen. As the years pass, as enemies are made and defeated, as wars are fought and won, the old don meets an abandoned boy who needs a parent as much as protection. By taking Gabe under his wing and teaching him everything he knows, Angelo Vestieri will learn, in the winter of his life, which is greater: his love for the boy he cherishes, or his need to be a gangster and to live by the savage rules he helped create. 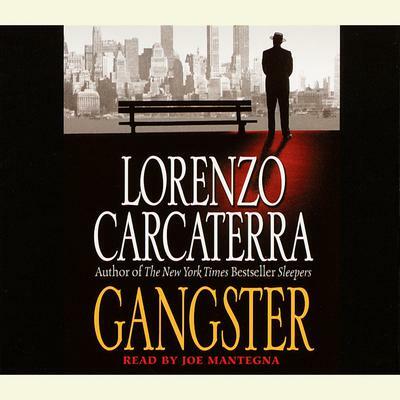 A sweeping panoramic with riveting characters, a unique understanding of the underworld philosophy, and a relentless pace, Gangster travels through the time of godfathers and goodfellas to our own world of suburban Sopranos. But this is more than just an authentic chronicle of crime. Setting a new standard for this acclaimed author, Gangster is a compassionate portrait of one man's fight against his fate—and an unforgettable epic of a family, a city, a century.